Well, not exactly a WIP in terms of the knitting, but then that’s the easy part. These need to be sized and then organized for test knitting, which takes more focus. I’m still loving that tuck stitch, and it’s been turning up in other places too, so it feels like the zeitgeist is right. 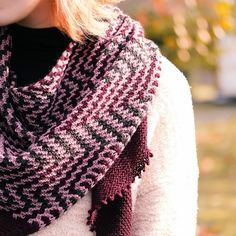 And with winter setting in, some textural ribbing and ruckling will bring a bit of warmth with interest. Also, maybe it’s the season, but I cant get enough of rich, dark red lately; not my usual type of thing at all, but so engaging. It looks purpley here, but that’s my lighting, trying to get a good shot of the variegation. Malabrigo Rios in Cumparsita, by the way. The deep red looks wonderful on you and what a great mitt and hat collection! 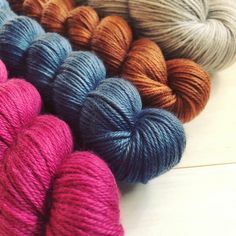 I’m a huge fan of Malabrigo (anything) but I do especially like Rios. And yes, the tuck stitch is great. London Calling Ring of Velvet Sapphire – free!